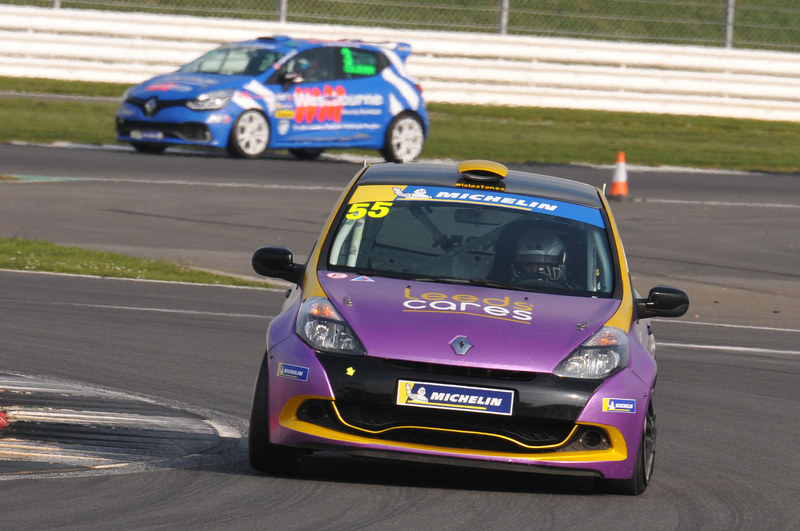 Jade Developments’ Luke Pinder set a new qualifying lap record on his way to a double pole position at the Michelin Clio Cup Series curtain-raiser at Silverstone. Pinder, who clocked a best time of 1:15.468 around the 1.85-mile International loop to best James Dorlin’s 2016 effort, will have Simon Freeman alongside for company in both contests. “I’m very happy with that result given we did no winter testing and I’ve been out of the driving seat for a while,” commented Pinder. “A big ‘thank you’ to everybody at Jade Developments for setting the car up perfectly and also to my family and everybody at work for giving me time to get the car ready. The second row is an all-Scottish lockout, with Westbourne Motorsport duo Ronan Pearson and Paul Bell in third and fourth respectively. Tony Verhulst was classified fifth, with Race Series newcomer James Joannou in sixth for MRM. James Colburn became the inaugural Sport Series pole-sitter, edging out MRM’s Tyler Lidsey by four tenths of a second. The Westbourne Motorsport racer will become the first driver in history to win a race in each of the championship’s three classes if he sees the chequered flag first in Sunday’s double-header. Ambrogio Perfetti was third ahead of Patrick Kibble, with Richard and Harriet Guy rounding out the six class runners. Nic Harrison was in imperious form and extended his unbeaten record in qualifying at Silverstone International to claim a double pole in the Road Series. He was made to work for it, however, with Richard Colburn just 0.170s further back – the two will undoubtedly produce a thrilling fight for the honours tomorrow. Darren Geeraerts was third. The opening race of the weekend gets underway at 11:50 tomorrow, with the final contest scheduled for 15:50 in the afternoon.